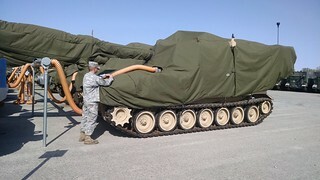 FRANKFORT, Ky. — Riddle me this: What ensures combat readiness, preserves our equipment, protects the environment, and saves taxpayers a whole lotta money? Okay, bad joke. But the truth of the matter is, corrosion awareness is no joke. In fact, today — April 24, 2015 — is World Corrosion Awareness Day. Not just for the National Guard, not just for the United States Army, but for the whole world. So, what’s the big deal? Well, corrosion costs nearly $4 trillion worldwide each year, which makes for the big deal. Corrosion eats away at our infrastructure, our bridges, rail systems, pipelines, you name it. Given enough time and neglect, our technological society and way of life are at risk, threatened by corrosion and its aftereffects. Okay, so that’s why corrosion awareness is important. But now you may ask, what’s that got to do with the Kentucky National Guard? Click here for more photos on this story. One of the best kept secrets about the Kentucky National Guard is our corrosion protection program. At Fort Knox and the Wendell H. Ford Regional Training Center we have established long-term corrosion protection measures that are essential to our war-fighting mission. 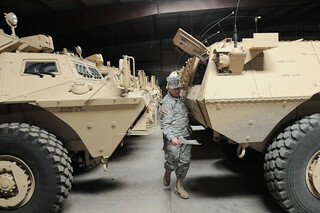 “We’ve got twelve Paladins and twelve ammo carriers worth about thirty million dollars,” said Command Sgt. Maj. Timothy Gividen, artillery shop supervisor at the Kentucky Guard’s Mobilization and Training Equipment Site at Fort Knox. “There’s another forty million in HIMARS rocket launchers, too. Add on all of the other equipment we’re signed for, that’s more than one hundred million dollars of the taxpayers’ dollars that we have to protect. Gividen’s team of eight mechanics focuses primarily on artillery. 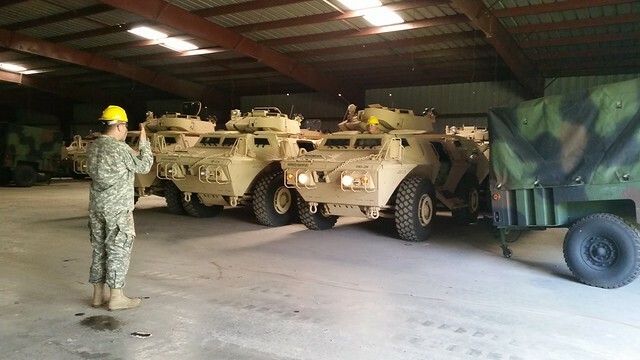 They keep the M109A6 Paladins hooked up to a controlled humidity protection system, which keeps the interior of the vehicles dry and tight. The complex series of overgrown hoses are hooked up to hatches and the muzzles of the gun barrels, connected to what amounts to a giant dehumidifier. The soldiers do daily checks to ensure everything is sealed up right. 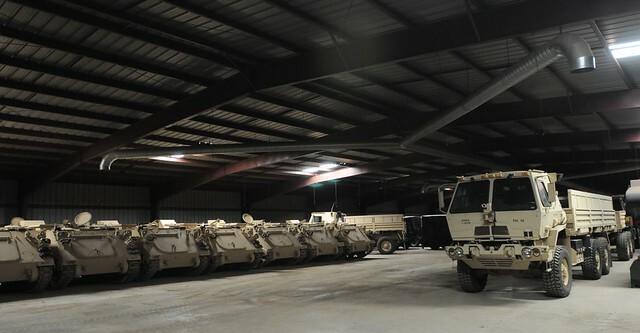 The M142 High Mobility Artillery Rocket System launchers are kept in a giant warehouse-like building with controlled temperature environment that protects them from weather and moisture. The latest in artillery technology, they are precise and accurate and battlefield proven. At $2.5 million apiece, they are also very expensive. Warrant Officer William Cottrell, work group leader at the MATES artillery shop, emphasizes the sensitive nature of the systems they are charged with protecting.